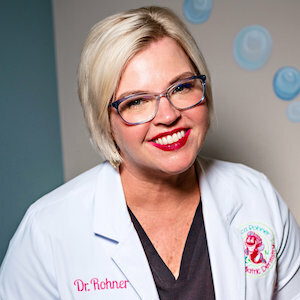 Dr. Rohner accepts and is a provider for: BCBS of Alabama, Southland, Delta Dental, MetLife, United Concordia, Guardian, and Cigna Dental. ANY OTHER INSURANCE besides the programs listed above is considered out of network and require the subscriber to be reimbursed directly. What this means is that you will pay for dental services provided and our office will give you insurance forms to mail for direct reimbursement. Payment for professional services is due at the time dental treatment is provided. Every effort will be made to provide a treatment plan suitable to your timetable and budget, and while still giving your child the best possible care. We accept cash, personal checks, debit cards and most major credit cards. We do charge a $30.00 fee on all returned checks. If we have your in network insurance information on the day of the appointment, we will be happy to file your claim for you. You must be familiar with your insurance benefits, as we will collect from you the estimated amount insurance is not expected to cover. By law your insurance company is required to pay each claim within 30 days of receipt. We file all insurance electronically, so your insurance company will receive each claim within a few days of the treatment. You are responsible for any balance on your account after 30 days, whether insurance has paid or not. If you have not paid your balance within 60 days, a re-billing fee of $3.00 will be added to your account each month until paid. We will send a refund to you if your insurance submits a delayer payment. If you do not provide your insurance information at the time of the appointment, you will be considered self-pay and payment for services in full is required. PLEASE UNDERSTAND that we file dental insurance as a courtesy to our patients. We do not have a contract with your insurance company, only you do. We are not responsible for how your insurance company handles its claims or for what benefits they pay on a claim. We can only assist you in estimating your portion of the cost of treatment. We at no time guarantee the amount your insurance will or will not pay on each claim. We also cannot be responsible for any errors in filing your insurance. Once again, we file claims as a courtesy to you. Payment for procedures not covered by your insurance (example-nitrous oxide) will be due on the date of service. Dental insurance is meant to be an aid in receiving dental care. Many patients think that their insurance pays 90%-100% of all dental fees. Unfortunately, this is not true. Most plans only pay between 50%-80% of the average total fees. Some pay more, some pay less. The percentage paid is usually determined by how much you or your employer has paid for coverage, or the type of contract your employer has set up with the insurance company. Insurance companies set their own schedules, and each company uses a different set of fees they consider allowable. These allowable fees may vary widely, because each company collects fee information from claims it processes. The insurance company then takes this data and arbitrarily chooses a level they call the "allowable" UCR Fee. Frequently, this data can be three to five years old and these "allowable" fees are set by the insurance company so they can make a net 20%-30% profit. Unfortunately, insurance companies imply that your dentist is "overcharging", rather than say that they are "underpaying", or that their benefits are low. In general, the less expensive insurance policy will use a lower usual, customary, or reasonable (UCR) figure. When estimating dental benefits, deductibles and percentages must be considered. To illustrate, assume the fee for service is $150.00. Assuming that the insurance company allows $150.00 as its usual and customary (UCR) fee, we can determine what benefits will be paid. First a deductible (paid by you), on average $50, is subtracted, leaving $100.00. The plan then pays 80% for this particular procedure. The insurance company will then pay 80% of $100.00, or $80.00. Out of a $150.00 fee they will pay an estimated $80.00 leaving a remaining portion of $70.00 (to be paid by the patient). Of course, if the UCR is less than $150.00 or your plan pays only at 50% then the insurance benefits will also be significantly less.